La bandera Cubana* ! | Travel Smart! * The Cuban flag ! Cuba is an incredible surreal country. This is one of the last communist countries in the world, a true relic of the days of the Soviet Union and the Cold War. It is a country that is extremely closed (politically) and at the same time very open through mass tourism and artistic production. Cuba is a country that is changing and will change quickly in the coming years. 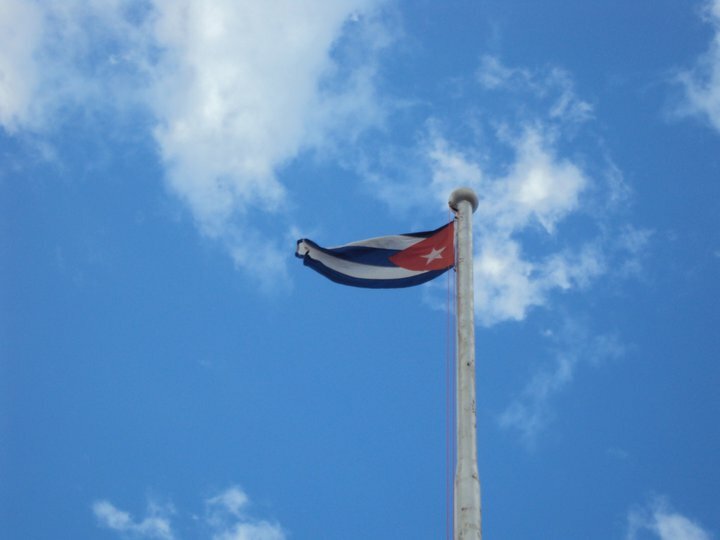 The Cuban situation has deteriorated and cannot go on the way it is. Cuba will not have the choice to get back gradually toward globalization. After the death (or retirement) of Fidel Castro and his brother Raul, Cuba will never be the same, but no one can predict the future! Of course, as in most of the poorest countries, Cubans seem more generous and happy then the happiest people in the Western countries !